Like To Share Your Fashion Business Tips? Like to be featured in our new book series? Join Bradley Quinn, Creative Director of Stylus Fashion, debates the future of fashion and technology with founders of Studio XO Nancy Tilbury and Benjamin Males. Contact us for the Stylus trend highlights. Historical and contemporary references are juxtaposed with stripped backed products that bring together old and new in this trend. Contact us for the WGSN highlights. Retail and marketing tips from around the globe – Simple Winning Ideas – The Amazon Effect – The Voodoo Effect – Food Pantry Development – Farmers markets move into software management.Contact us for his Retail Newsletter link. Make a plan to be energy efficient every month of the year with our monthly energy-saving tips. Join our new free Solar Energy Webinar or request a Recording or Fact Sheet. Fashion Exposed Revived and Home & Giving Fair, Sydney, 21 – 24 February, 2015The largest, highest quality and most comprehensive gift, homewares and fashion trade event in Sydney – attracting over 14,000 buyers across all segments. Mercedes-Benz Fashion Week Australia, Carriageworks, Sydney, 12 – 15 April 2015Australian collection showings to international buyers and media of directional and emerging fashion labels. 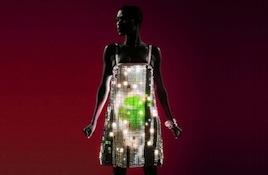 Sharing best practice from Fashion Incubators around the globe. Last Chance– Exhibit your collection at World Boutique Hong Kong, 19-22 January 2015 – Bookings Close End OctoberJoin our TCF Group in the International Designer Showcase with 16,000 buyers and 70 countries attending. Designer Showcase spaces (4.5m) from approx. US$900 and Parade space US$1200.Contact usfor booking forms. Buying Mission – China International Silk & Women's Wear Fair, Hangzhou, China 11 – 13 October 2014– Join TCF Buying Mission with 2 days free accommodation and airport pickup.Contact usfor the registration form. Join Bradley Quinn, Creative Director of Stylus Fashion, debates the future of fashion and technology with founders of Studio XO Nancy Tilbury and Benjamin Males.Contact usfor the Stylus trend highlights. Historical and contemporary references are juxtaposed with stripped backed products that bring together old and new in this trend.Contact usfor the WGSN highlights. Retail and marketing tips from around the globe – Simple Winning Ideas – The Amazon Effect – The Voodoo Effect – Food Pantry Development – Farmers markets move into software management.Contact usfor his Retail Newsletter link. Texprint awards hosted at Premiere VisionThe Texprint awards were presented by renowned Italian designer Nino Cerruti at Premiere Vision on September 17 in Paris. The prizes are awarded to promising textile design graduates from Britain.Read more. China to cut import quotas of cottonChina will slash its import quotas for 2015 to boost demand for the domestic fibre. To encourage domestic producers, the government will offer subsidies to provinces in the Yellow River and Yangtze River valley growing areas.Read more. Thailand hopes to be fashion and textile leaderExports to Asia – including China, Hong Kong, Korea and Japan – now account for only half the country’s total exports.Read more. Zimbabwe hopes to vitalise garment sectorZimbabwe has launched a cotton-to-clothing export strategy.It's aimed at boosting productivity and helping generate much-needed foreign currency for the country.Read more. Drive Smarter: Avoid speeding, rapid acceleration, and rapid breaking to lower gas mileage by 33% (at highway speeds). Drivers can save litres of fuel or nearly $1000, by driving sensibly on the highway. Are you still paying for your antivirus software? Microsoft Security Essentialsis free for windows 7 and built-in to Windows 8. You don't need to buy an antivirus anymore. There are other options but Microsoft Security Essentials is the only one free for home and commercial use. If you have a Mac,Sophoshas you covered at no charge. It's a myth that Mac's won't get a virus. Call us on 08 9467 2269 if you have any problems with your computers. Intertextile Shanghai Apparel Fabrics, Shanghai, China, 20 – 23 October, 2014Over 3,700 exhibitors, 69,000 visitors.Contact usfor info. Fashion Exposed Revived and Home & Giving Fair, Sydney, 21-24 February, 2015The largest, highest quality and most comprehensive gift, homewares and fashion trade event in Sydney – attracting over 14,000 buyers across all segments. Last chance to gain recognition for your business achievements! Enter the 21st Belmont Small Business Awards. Entries close 30th September at 5pm. Welcome to our latest Friends of Belmont BEC Members Latha Thyagarajan from Abakuz Bookeeping, Kay Woodcock from Santa Fe Wridgeways and Jeremey Dunnette from Proof Reading WA. A small business consuming 50,000 kilowatt hours per annum that installs a 15 kW system can displace an average of 33 per cent of its electricity usage. Looking to Invest in Property? – Belmont BEC or TCFWA members can collect their free copy of ‘Real Estate Tips & Advice’, compliments of Charthill Legal. Contact us to reserve your copy. * Webinars Recordings marked * are FREE to attend. To book for upcoming events visit www.belmontbec.com/calendar or contact us on 9479 3777. TCF is now able to offer its member network the latest industry news from FashionatingWorld, a global media organisation with over 25yrs in fashion trade publications with Inside Fashion. Do you believe your brand is ready for more exposure within Australia or internationally? Vastra 2014, Jaipur India, October 29-31, 2014Textile & Apparel Trade Fair for manufacturers, suppliers and artisans.Join our TCF Buying Mission for sponsored airfare & accommodation. Contact us for registration forms. Exhibit at World Boutique Hong Kong, 19-22 January 2015 – Bookings Now OpenJoin our TCF Group Exhibition in World Boutique, International Designer Showcase with 16,000 buyers and 70 countries attending. Designer Showcase spaces (4.5m) from approx. US$900 and Parade space US$1200.Contact usfor booking forms. Lighting can account for between 20 and 80% of energy consumption in commercial buildings, including; shops, offices, factories, warehouses…. TCF Members contact us for free Webinar ‘Establishing your label in the USA’. Like to join the Fashion Biz Launching Pad Group Showcase at Magic? Contact us with your designer profile. Mercedes-Benz Fashion Week Australia, Carriageworks, Sydney, 12 – 15 April 2015 Australian collection showings to international buyers and media of directional and emerging fashion labels. DIARY DATE 2015 – 5th International Fashion Incubator Conference, Philadelphia, USA, October 2015 Sharing best practice from Fashion Incubators around the globe. Can't make the time or date – request a recording! *All Energy Efficiency Webinars & Recordings are FREE to attend. A simple merchandising message from Retail Consultant John Stanley.Looking at merchandising in this part of the world there is one simple message.. keep it simple. When it comes to displays we often make displays too complicated. Look at the innovators in the market place and they are focused on a simple message using simple props and a few products. The challenge with simple is that it often takes more …… contact us for the link to the full story and introduction to John Stanley & Associates. Reminder– Intertextile Shanghai Home Textiles, Shanghai, China, 27-29 AugustThe Gateway to China’s Home Living textiles: over 1,300 exhibitors, 39,000 visitors.Join TCF Buying Mission and be eligible for 3days accommodation. Contact us for information. Advance Notice – Vastra 2014, Jaipur India, October 29-31, 2014Textile & Apparel Trade Fair for manufacturers, suppliers and artisans.Join our TCF Buying Mission for sponsored airfare & accommodation. Contact usfor registration forms. Keep the Cold Out – Plug energy leaks with weather stripping and caulking, and be sure your office is properly insulated to save up to 20% on energy bills. 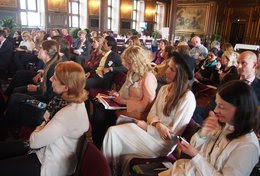 From Copenhagen Fashion Summit, the Sustainable Fashion Academy held a symposium on Natural Capital Accounting (NCA) for policy makers, organizations, designers and other interested parties. NCA is a way to value the finite stock of natural assets (air, water and land) provided free of charge by nature, which are used by a range of industries to provide consumer goods and services. Puma’s Environmental Profit & Loss (EP&L) accounting which now will become the standard for the whole group. “By 2016 all companies in the Kering family will be doing EP&L,” This means companies like Gucci and Stella McCartney soon will be show-casing how their production can affect ecosystems and natural capital consumption. Affordable synthetic gains traction as cotton losesCotton is no longer the king of fibres, for synthetic is surging ahead to grab the lead. Growing demand for Lenzing fibresTencel is considered the fiber of the future. It's a third generation fiber having the comfort of cotton but with wrinkle-free properties. Turkey gains momentum as sourcing hubOver the last decade, the country has emerged as the fourth largest supplier of clothing in the world and a leading sourcing destination for Europe. Change in China's cotton policy to impact world production China’s mills may welcome the lower cotton prices, but world cotton production is being forecasted to get negatively affected by a change in China’s cotton policy. ‘Do you believe your brand is ready for more exposure within Australia or internationally? Online Shopping Cart Abandonment – average rate of shopping carts abandoned are averaging 60-70%, to understand the reasons why and develop top strategies to bring those shoppers back to increase your revenue.Contact usfor the Bronto report. LAST CHANCE -Hong Kong Fashion Week, July 7-10– Closes June 22ndJoin our TCF Buying Mission for VIP Privileges, 1st time buyers may be eligible for up to *3nights free accommodation or *travel allowance. Flight & Accomodation Packages available.Contact us for registration forms. LAST CHANCE-India International Garment Fair, July 15-17Join our TCF Buying Mission for *sponsored airfare & accommodation for established businesses. *eligible businesses, conditions apply. Contact us for registration forms. New Mission – Intertextile Shanghai Home Textiles, Shanghai, China, 27-29 AugustThe Gateway to China’s Home Living textiles: over 1,300 exhibitors, 39,000 visitors.Join TCF Buying Mission and be eligible for 3days accommodation. Contact us for information. Advance Notice – Vastra 2014, Jaipur India, October 7-9, 2014Textile & Apparel Trade Fair for manufacturers, suppliers and artisans.Join our TCF Buying Mission for sponsored airfare & accommodation. Contact usfor registration forms. DIARY DATE 2015 – 5th International Fashion Incubator Conference, Philadelphia, USA October, 2015, Sharing best practice from Fashion Incubators around the globe. Textile machinery shipments decline in 2013According to the 36th annual International Textile Machinery Shipment Statistics (ITMSS) report, shipments of the new textile machinery fell in most segments. Factory safety issues still a concern in AsiaThe entire world’s attention was drawn to Bangladesh, after calamities like fire and building collapse claimed several lives in the RMG industry last year. Global fibre demand exceeds 4.4 per cent in 2013A new report titled, ‘The Fibre Year 2014’ states that worldwide fibre demand in 2013 exceeded 90 million tons or 4.4 per cent more than 2012. Is India ready to take lead in global textile industry?In the next 10 to 15 years, prediction is that China will exit textile manufacturing business leaving a huge gap for countries like India to take advantage. Tenbro Bamboo fibre inks deal with Tata GroupNatural fibre brand Tenbro that supplies to other major Indian companies and global brands like Zara, has inked a partnership with the Tata Group for supplies. FREE copy Energy Efficiency Air Conditioning Fact Sheet, Webinar, Recording on how to reduce and manage your air-conditioning and heating costs. Can’t make the time or date – request a recording! Congratulations to Belmont BEC & Founding Manager, Carol Hanlon – celebrating 20 years of service and support for the small business community. During this time Belmont BEC has supported in excess of 24,000 new and existing small businesses. Special thanks to all Belmont BEC Committee, Advisors, Mentors, Presenters, Staff, Volunteers, Sponsors and Supporters who have assisted since 1994. Largest annual apparel fabrics fair, Intertextile Shanghai will take place in Shanghai this October with an increased focus on denim products, a fast-growing segment in the Chinese market. With Bangladesh in the news for all the wrong reasons, many fashion brands and retailers are exploring alternate sourcing destinations. And Turkey is emerging as a good option for them. The Global Organic Textile Standard (GOTS) International Working Group has released Version 4.0 of the worldwide recognized standard for processing of textiles made from at least 70 per cent or 95 per cent certified organic natural fibers. With the third edition of Asia Apparel Expo just around the corner, FashionUnited took the opportunity to ask Ben Wong, marketing manager of organizer Mega Expo (Berlin) Limited a few questions about the show. World Boutique Hong Kong, 19 – 22 January 2015 – Registrations Now Open -Join our TCF Group Exhibition in World Boutique, International Designer Showcase with 16,000 buyers and 70 countries attending. Designer Showcase spaces from approx. US$900 and Parade US$1200 Contact us for registration forms. 15 May Why are you Busy and Poor?? Paper labelled as "recycled paper" does not necessarily mean it is 100% recycled paper, it could mean anything from 100 percent true recycled paper (great!) to one per cent remanufactured ends of large paper rolls (not that much help). Look for the percentage and type of recycled content, which you should find next to the recycled symbol, The more "post-consumer" recycled content the better. Every tonne of paper recycled saves almost 13 trees, 4,100 kilowatts of electricity and more than 30,000 litres (7,900 gallons) of water. Last Chance–Buying Mission – Taipei In Style, Taiwan (AW14/15) April 17-20Looking to source new labels to import for your retail or online store. Sponsored Airfare & Accommodation for established retailers, contact us for Application form or if you can’t make the dates emailcarol.hanlon@tcfglobal.comyour apparel or accessories buying interest for business matching with exhibitors. Be aware of which items use the most energy and where energy can be saved: 20-40% of energy can be saved through no cost or low cost actions. If you are unsure of where your energy is being consumed ‘low cost energy monitors’ can be purchased that connect to your power supply and give instant and recorded energy usage. This will enable you to understand your energy usage and assist with taking actions to reduce it. Members are welcome to forward job adverts, items for sale, events or information to be considered for our monthly newsletters. Emailinfo@tcfglobal.comor contact 08 9479 3777 or further information. ViewRagtraderrecent interview with Carol Hanlon, TCF Australia and TCF Global who will be a featured speaker at Fashion Exposed . A 40ft container of donated sewing machines, textiles, and sewing haberdashery and emergency relief items sailed for TCF OCCCI, Ormoc, Philippines on 8th Feb. Ormoc was in the path of Typhoon Yolanda that hit the Leyte Province late 2013. Thanks to all who donated items for the fundraising raffles and financial donations towards the shipping freight costs. A Special ‘big’ thankyou to the Zip Group & Gabriella Frattini Fashion Stores, Australia for donating hundreds of cartons of fashion garments and shoes for the Typhoon Survivors. Thanks also to our many volunteer packers. A global leader in retail advisory, John Stanley provides his 'Keep Up – Trend Tips' for 2014 Tip 1) Baby Boomers and Millennial Kids Tip 2) The world's largest store…is in their pocket Tip 3) Same Day Delivery. Like to read John’s full trend tips –contact usand receive introduction to register for the John Stanley Retail Newsletter. Air Conditioning accounts for about 40% of the energy consumption in most *businesses (*varies between businesses). Every one-degree change will affect energy consumption by 10%. Settings should be maintained around 24°C when cooling and around 20°C when heating. Contact us for Fact Sheets, Online Webinars, Recordings that cover 8 topics to help you lower your energy costs and save money. To book for upcoming events visitwww.tcfglobal.com/calendaror contact us on +61 8 9479 3777. All our Webinars are live presentations that require you to have internet access with audio or can be accessed via telephone linkage. Happy New Year and best wishes for a successful year ahead in business. Air Conditioning accounts for about 40% of the energy consumption in most businesses, and accounts for about 70% of the building owner’s (common area) energy bills, and is the key contributor to peak demand charges.